Over the last six months after learning the ropes of social media – or might I say, attempting to learn the ropes, there have been great benefits. Firstly: by putting myself out there, followers have begun following my Facebook, Twitter, linked in and Pinterest accounts. I discovered “Smore” from an author Daniel Brigham living in Germany, and began writing monthly newsletters. WordPress seemed the way to go to create a website. Ok, it’s amateurish at the moment. I’m learning day by day. 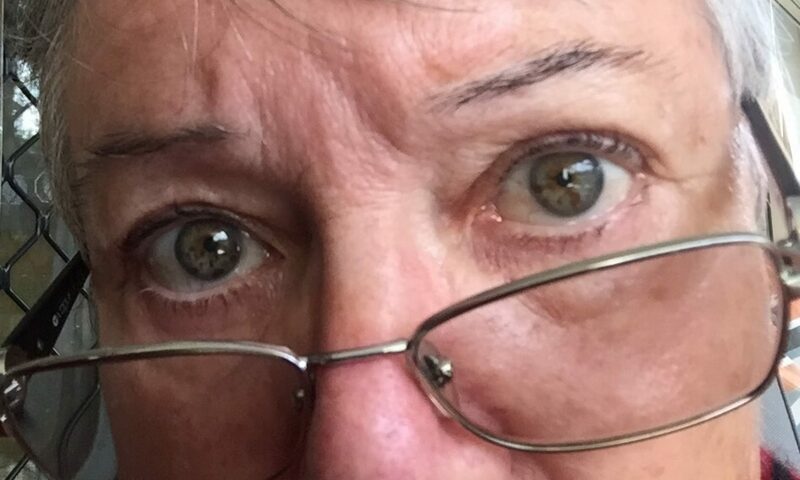 Trying to understand the tabs, tags, hashes, links – it’s not that obvious for us seniors stepping out in the modern digital world. I needed to blog: This is a blog. See – I’m doing it! But I still can’t stop spelling blog with two g’s. Years ago I had built a good size Network marketing business and learnt the benefits of ‘networking.’ It remains obvious that if you help others do what they do, and work with them as a team – then the business of being a lone writer will not your experience. You will have mentors and will mentor others. Win – win. August has been a month of consolidating and forming a network of local authors. The aim is to promote and support each other -and increase chances for us all of moving our books into readers hands. This is the plan – team up and do book displays, signings. Not having just one author at a book display/signing, but surely it’s better to have a few. I Learnt from my friends that not many readers have met even one author. How about bringing a few for them to enjoy meeting? To be honest, I give the credit to author Jack Kregas when he suggested he come and support me at my launch celebration. Why not have more authors there? Making it worth coming to. Ok, it might mean people will pick and choose who to buy from. Surely it is better for our readers to have choices. If they really like me but decide to buy off Jack instead – who knows that one day, perhaps they will promote me to someone more interested in my genre. Win win again. I’ve never met an author before, my neighbour told me. Apparently its a big deal to meet the author of a book you enjoyed. Only last week at my book readers group one of our group had her day made. Unbeknown to her a new resident in our village is an author. She had read his book and had imagined meeting him and shaking his hand. Last week she did just that, as he has joined our book readers group. At this date I have three book displays happening. 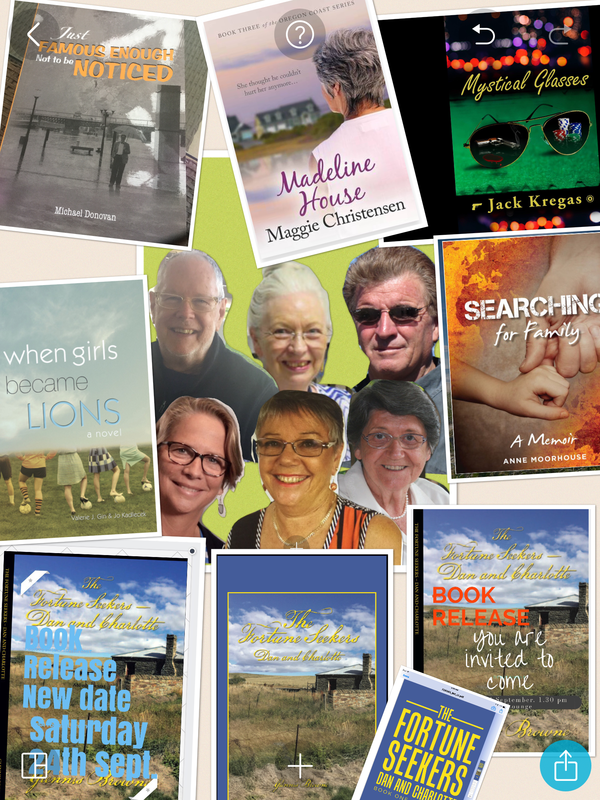 All with members from my local author network. The first – near Brisbane 10th Sept 2016 – Open to Village residents from two villages, family and friends. The second – My book Launch celebration at Noosa. Open to friends, family , village residents and public. The third – in Sydney on 8th October at the Huge Book Display weekend – held at the Rosedale Racecourse Conference Centre. Where 2-3 thousand people usually attend over the weekend. I share a table with Jack Kregas. I’ll tell you about that next month. Promise I’ll take photos. The celebration book launch is on 24th September at Noosa Domain Village – Noosaville – Queensland – Australia. At 1.30pm. This is the launch celebration group: the six of us. Offering a free champagne and nibbles. Book signing and presentation of new books by each author. Plus how to put reviews online. 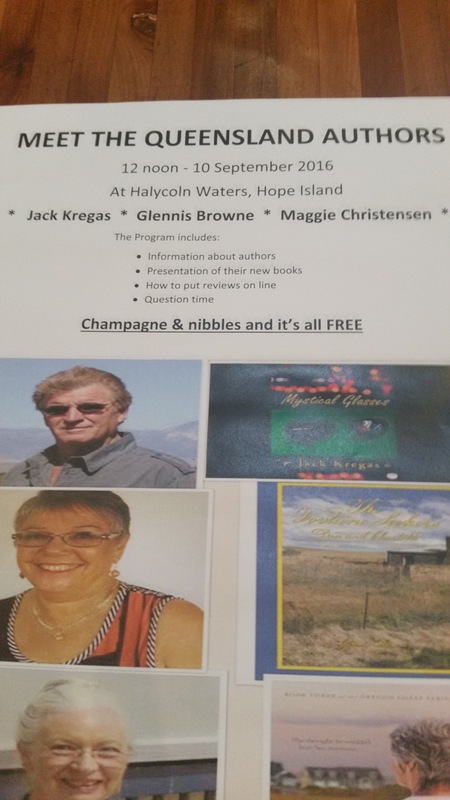 At Halcyon Village on Hope Island, Brisbane, there are three of us – Jack Kregas, Maggie Christensen and myself. I’m hoping my publishers promo fliers have arrived in time. Might need to do a quick print of a large poster just in case. At least the books should be here by then.